Xiaomi has published a new changelog preview for the upcoming MIUI 10 beta 8.12.6 update, which begins rolling out tomorrow, December 6. Like others before it, the new MIUI 10 update has lots of bug fixes and optimizations to bring to the table, but there is even more exciting news for users of the Poco F1. As part of this update, the device will now receive support for 960fps super slow motion video recording. The changelog preview also points to fixes with issues of translation in the recent menu, Redmi Note 5 Pro stops working and optimizes apps section in the settings menu. 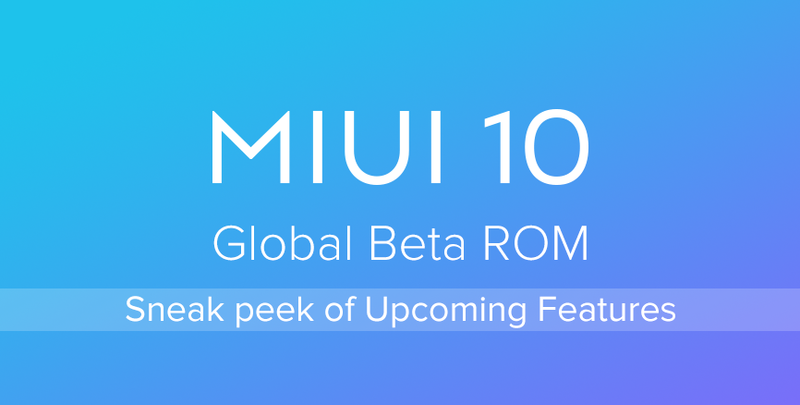 As noted, the initial rollout will begin tomorrow, with the full rollout expected to begin Friday, which is when we’ll get MIUI 10 beta 8.12.6 download links for manual installation.